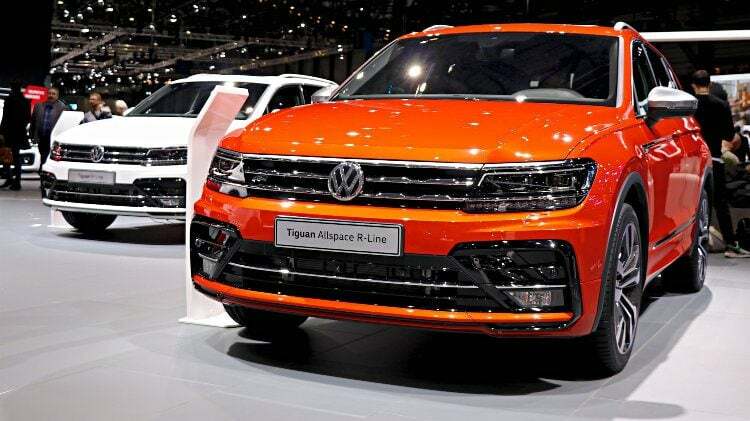 Volkswagen remained the top-selling carmaker in Germany during the first quarter of 2018 followed by Mercedes Benz, Audi and BMW. The VW Golf was Germany’s favorite car model. January to March 2018: Volkswagen was again Germany’s largest car manufacturer and regained market share by outperforming the broader new car market. Premium brands Mercedes Benz, Audi and BMW remained top-sellers but all lost market share. Peugeot was the most-improved car brand in Germany thus far in 2018 while Tesla was the worst performer. Total car sales in Germany increased by 4% during the first three months of 2018. New passenger vehicle (PKW) registrations in Germany increased by 4% to 878,611 cars during the first quarter of 2018. This represents an increase of around 34,000 cars over the same three months in 2017. The total German new vehicle market expanded by 3.4% to 1,011,300 motorized vehicles (Kraftfahrzeuge) including motorcycles, cars, buses, and commercial vehicles. In March 2018, the share of petrol engine new cars in Germany increased by 9.3% to 64% largely due to a sharp 25% drop in diesel vehicles that had a market share of only 31%. Uncertainty over the future emission regulations and tax benefits of diesel cars hit this sector hard, which is very important to especially the German luxury car market. In March 2018, electric car sales increased by 73% to 3,792 cars, or a 1% market share – a boon for Smart but Tesla was the worst-performing brand during the first quarter of 2018. There were only minor changes in the rank order of the top ten best-selling car brands in Germany during the first quarter of 2018. Volkswagen remained the clear market leader and strongly outperformed the broader market to regain some of the market share it lost in 2017. A third of the additional cars sold in Germany thus far this year accrued to VW. In contrast, the three so-called premium brands all lost market share – all three are major players in the diesel market. Mercedes Benz remained the second largest carmaker in Germany in 2018 but it strongly underperformed with flat sales. Audi sales were sharply down while BMW sales were also weaker. BMW is one of the brands hit by supply problems with some petrol engine models. The only rank order change among the top-ten largest car producers in Germany during the first quarter of 2018 was Ford moving ahead of Opel. Ford had a solid performance while Opel had the weakest performance of all the top ten brands. Ford sold only 200 cars fewer than BMW – a year ago the gap was 5,000. In March 2018, Ford was the third best-selling car brand in Germany. VW-owned Skoda remained the best-selling foreign brand in Germany with sales up 12% – both Ford and Opel are seen as German despite foreign ownership. Renault slightly underperformed the broader market but like all four main French brands had positive growth in Germany thus far in 2018. Hyundai was the most-improved top-10 brand in Germany during the first quarter of 2018 closely followed by VW-owned Seat. A strong performance by Toyota allowed it to move back into 11th place at the expense of Fiat. The most-improved brands were Peugeot, Smart, Mitsubishi and Dacia – all increasing sales by over a fifth. The worst-performing brands were the three smallest brands listed individually by the KBA: Tesla, Lexus and Ssangyong. All four French brands increased sales with Peugeot and DS growing by double-digits. Of the mid-size brands ranked 7 to 27, only two (Nissan and Volvo) had weaker sales. The VW Golf comfortably remained the top-selling car model in Germany in 2018.